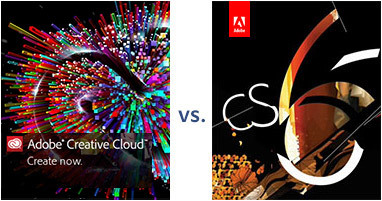 At the same time, Adobe is continuing to sell 2012’s CS6 version for people that prefer the traditional licensing model instead of CC sub­scriptions, though statistically fewer than 1 in 5 customers are still going that direction. Meanwhile, the 15 new CC applications have brought hundreds of new features and enhancements compared to CS6, with more being added all the time through ongoing upgrades that are included free with all memberships… Thus far, the latest CC tools have been getting nearly 5-star reviews from customers, as they sign up at the rate of 65,000 per week. But still, because of the relative newness of the Creative Cloud offering, some confusion abounds and there remain a few big myths floating around out there. So all in all, there has been a lot of change to digest over the past year, and folks often ask us which route is best to take – what are the pros and cons of each option? Great reply Daniel. And btw, I got my CS6 for free with an online photography gear purchase.